If your life consists of the regular pursuit of extreme action and adrenaline, then you need a product to match that ambition. The gorgeous GoPro HERO7 White is a product of its word and will be your trusty companion, and now, for a limited time, you can pick it up with an impressive 20% discount applied. Some people tend to love what the GoPro products have to offer but shy away from them due to the cost. This leads them to root for cheaper products which purport to offer the same functionality but end up not actually being able to deliver under pressure or in adverse conditions. 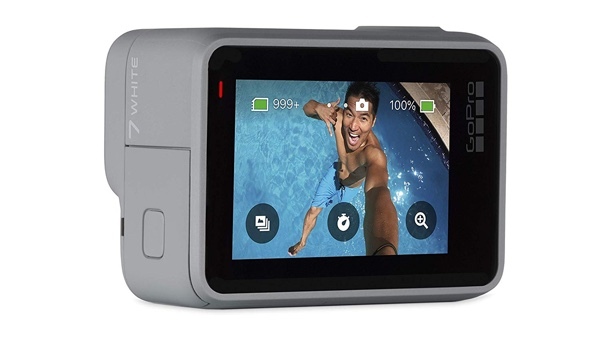 Thankfully, with this deal, which takes the GoPro HERO7 White down to just $159, you don’t need to sacrifice quality in favor of price as you can grab this right now for a very low price and benefit from everything that it offers. The main purpose of this hardware lives in its ability to take photographs and capture videos. To that end, you will have 10-megapixel photographs and 1080p video recording at 60-frames-per-second. This isn’t one of GoPro’s 4K-compatible or capable options but the fact that it offers full HD recording should definitely keep you satisfied. 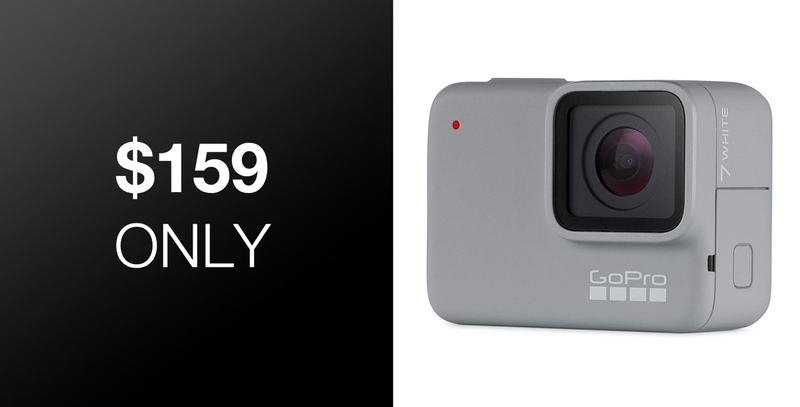 Like most GoPro cameras, it is also built to last with a rugged and ready exterior and a waterproofing level designed to ensure that it can be submerged by up to 33-foot before anything starts to go wrong with it. It also comes with image stabilization, a built-in rechargeable battery, WiFi and Bluetooth to be able to connect the hardware to other devices for viewing and transferring media. Interestingly, the GoPro HERO7 White can also be invoked with a single voice command and is capable of taking different actions based on 14 pre-programmed voice commands. It’s a great little piece of hardware designed to be ready for life’s toughest challenges and to always be ready when you are. Grab it right now from the direct link below and ensure not to waste time as the deal could end at any given time.